The work required to maintain this historic treasure is an expensive endeavor. Your contributions are deeply appreciated and, of course, tax deductible. Photo Courtesy of Shannon Jenkins Photography. 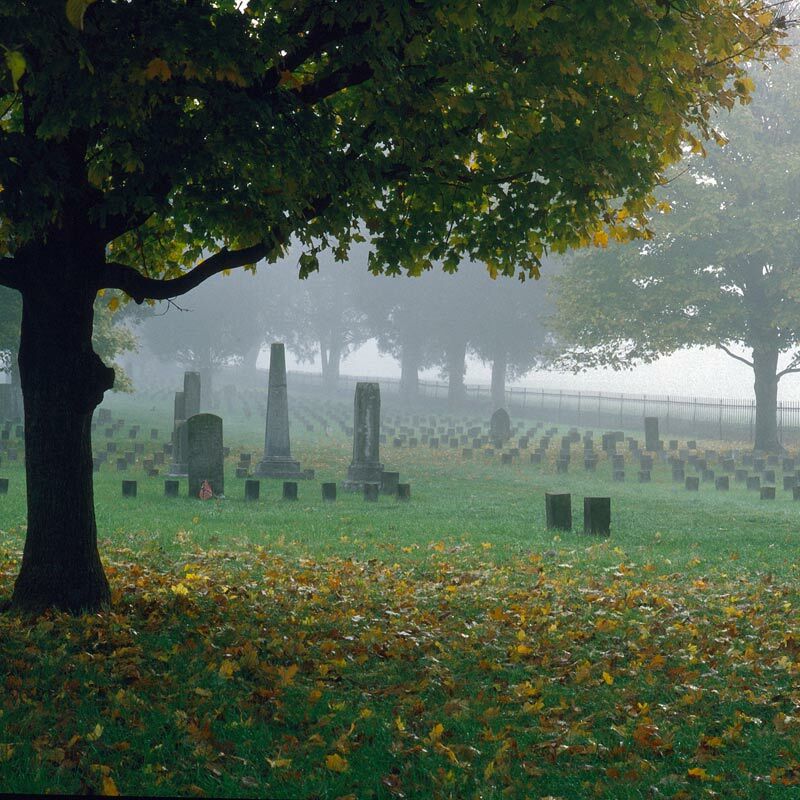 After the November 30, 1864 Battle of Franklin, fallen Confederate soldiers were buried on the battlefield. Makeshift wooden markers were placed to identify the dead. 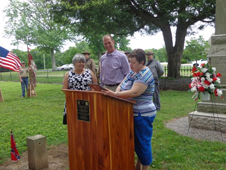 Two years later, as the markers became increasingly difficult to read, the citizens of Franklin began raising funds to exhume and re-inter 1,480 soldiers on property donated by the McGavock family of Carnton. 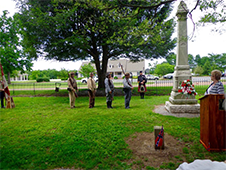 Veterans assisted in maintaining the graves, and in 1911 the deed to the cemetery and right-of-way from Lewisburg Pike was presented to the newly chartered McGavock Confederate Cemetery Corporation. The corporation continues to maintain and oversee the burial ground today. After the Battle of Franklin, November 30, 1864, the Union Army withdrew into Nashville leaving casualties of over 8,000 soldiers. 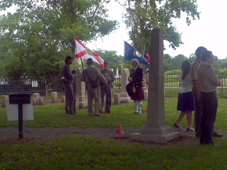 Confederate General John Bell Hood left a burial detail in Franklin for two days. 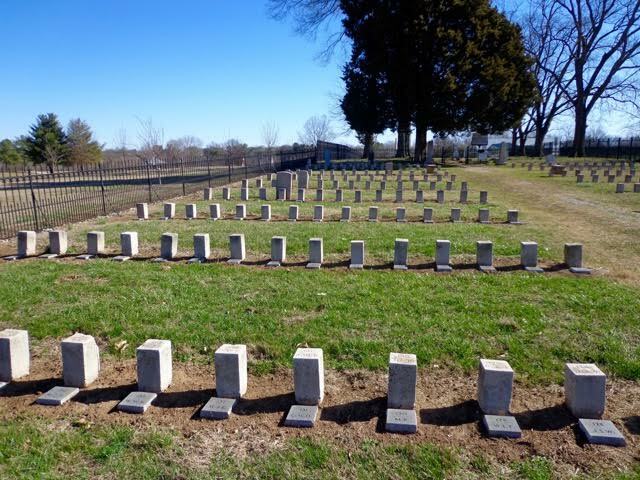 Confederate soldiers were buried near the Carter House breastworks with the graves arranged in plots according to the states from which the soldiers came. As winter wore on, many of the headboards were fading or were used for firewood by the poor. 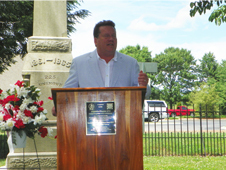 Seeing the great need, Colonel John McGavock and family donated two acres of land adjoining the family graveyard, to be used for a final resting place for the soldiers. In April 1866, he and other citizens formed a committee and began raising money to remove the bodies. Again, each soldier was laid to rest by state and each known name was registered in the Book of the Dead. 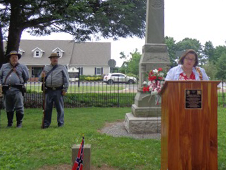 Colonel McGavock’s wife, Caroline Winder McGavock, continued to maintain the official register of the dead and welcome families and comrades of the fallen who wished to pay their respects. 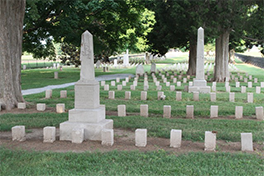 At the same time, the John L. McEwen Bivouac of Veterans assisted in maintaining the graves and in 1890 appointed a committee to maintain the cemetery and raise funds to replace the wooden headboards with the limestone markers you see today. In 1911 Mrs. Winder McGavock and Carnton owners, Mr. and Mrs. W.D. 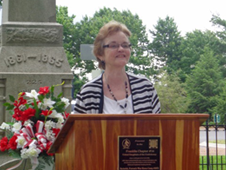 Shelton, presented the trustees of the newly chartered McGavock Confederate Cemetery, the deed to the cemetery and the right-of-way for light vehicles from the Lewisburg Pike along the 30-foot avenue leading to their property. While serving as President of the cemetery, W.D. Shelton gave an additional ten feet along the avenue making a “wide driveway from the Pike to the Cemetery.” The Trustees continued to maintain the cemetery and avenue and reported in the minute book in 1919 that the cost of the bridge repair was $275.00 and with the new permanent rock road, “nothing else will need to be done to it in our lifetime.” ln 1925 only three of the trustees were in attendance at their meeting and as these veterans passed away, the care of the cemetery devolved upon their wives who were active in the Daughters of the Confederacy. 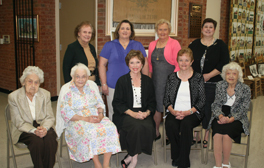 In 1926 the trustees voted to allow members elected by Franklin Chapter #14 to serve as such trustees. 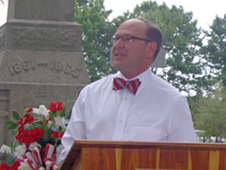 The chapter had been responsible for placing the statue of the Confederate Soldier in the town square in Franklin in 1899, developing Winstead Hill as a memorial park, and raising funds for the Confederate Veteran’s Home and the Confederate Memorial Hall on the Peabody Campus in Nashville. In 1989 the Daughters published a small cemetery book in an effort to tell the history of the cemetery and offer the only published list of the dead that could be purchased. The list was copied from the 1947 printed “blue book.” Profits from the sale of the booklet would be used toward the upkeep of the cemetery. The booklet is now in its sixth publication. 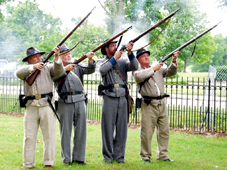 In November 1989 the re-enactment of the Battle of Franklin brought a donation of $13,000 to the Daughters for the restoration needed in the cemetery. Graham Reed was persuaded to undertake the tedious process of restoring the stones and monuments. Since those original monies were donated, fund raising efforts have continued. 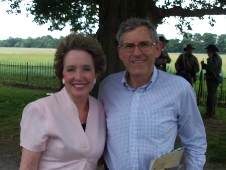 Descendants, Civil War Round Tables, State organizations of Sons of Confederate Veterans, re-enactments, local banks, businesses, and the Franklin Memorial Association have contributed approximately $60,000 for the restoration of the stones, and repairs to the iron fence. 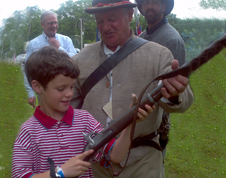 The Tennessee Historical Commission contributes small grants toward ground maintenance and local Sons of the Confederate Veterans have helped with maintenance and care in the past. 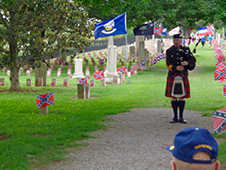 Today, the McGavock Confederate Cemetery Corporation serves as the official organization that maintains the cemetery. Trustees are elected by the board from the Franklin Chapter #14 UDC and serve today as when the original organization was formed in 1911. 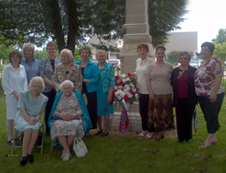 Each June the Daughters hold a memorial service to remember the fallen soldiers who gave their lives for their homeland and for a cause so dear. 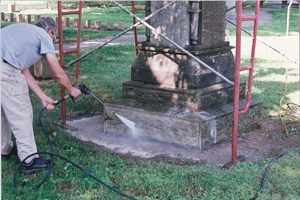 In 1996 the cemetery trustees completed a $60,000 project with stonemason, Graham Reed. Repair was made to many of the damaged headstones, monuments and iron fence. Mr. Reed undertook much of the work at his own expense. In 2014 Dallas Upchurch with A&S Restoration again cleaned and sealed the stones. 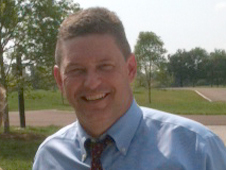 Mr. Upchurch has many years in the field of historic stone restoration. Because of age, the letters on the top of many of the stones were still not legible and visitors to the cemetery were disappointed that they could not find the stones of their ancestors. There are 12 sections in the cemetery where 1,256 soldiers are buried by the state for which they fought. The trustees have voted to place new 6 x 6 inch granite “cornerstones” in front of each of the present limestone gravestones with the same information that is on the limestone marker on the new granite ones. As of February 2018, cornerstones for all states have been placed except for the Mississippi section. Stones for this section are currently being installed and all sections will be completed by spring. The trustees wish to thank all the people and organizations that have made donations for this project. We want to especially thank the Mississippi, Arkansas, Georgia and Kentucky Divisions of the United Daughters of the Confederacy for paying for the stones in their section. We also want to thank the Civil War Roundtables of Texas and their members for their donations to pay for the Texas section. We are indebted to Jean Bruce with Ensworth School for their TNGENWEB project survey to document all information on each headstone and sharing that information with us. 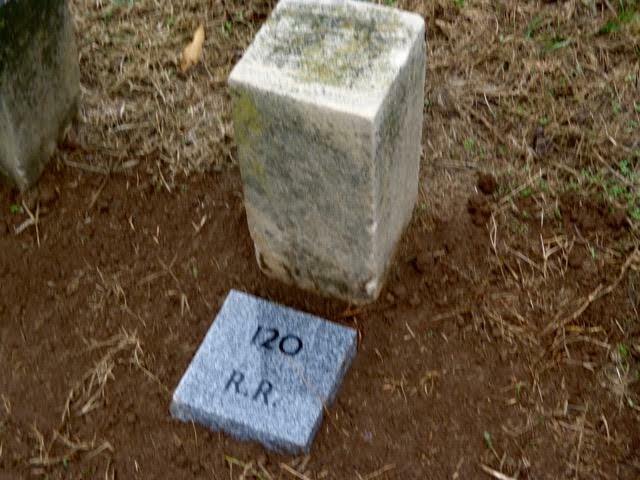 We also want to thank Leoma Monument, Leoma, TN for making and installing these cornerstones for the cemetery. The trustees appreciate the support we have received for this project. 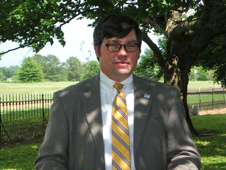 We will continue to work to preserve and maintain the McGavock Confederate Cemetery. Capt. Fletcher H. Carter Co. A. 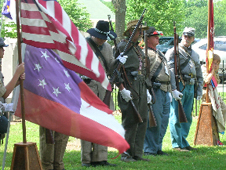 13th Tennessee enlisted at Jackson, Tennessee on May 28, 1861 as a Private. 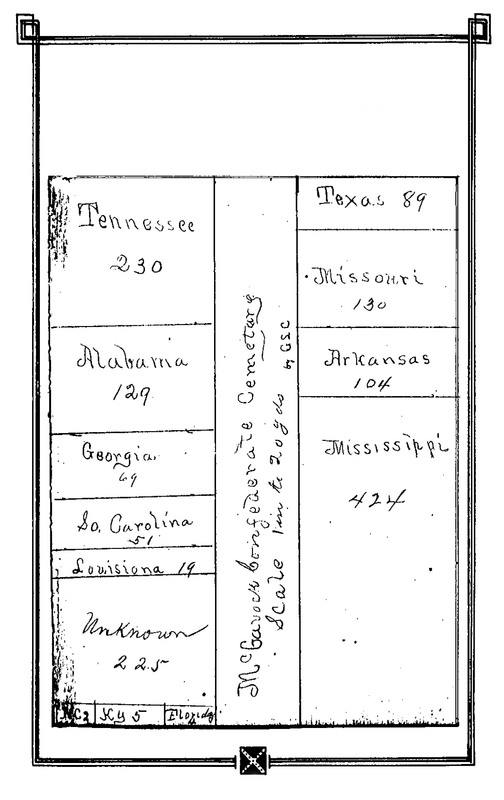 He and his 4 brothers traveled 75 miles from Somerville, Tennessee where they lived. They were a large family of 12 children, lived on a homestead of 240 acres and owned about 20 slaves. They all worked the land and attended local schools until they were of age to leave for college. 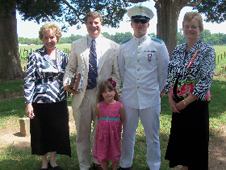 Their family emigrated from England and originally settled in North Carolina and later moved to Fayette County, Tennessee to start over again. Fletcher was promoted to 1st Lt. of his regiment on May 1,1862 and to Captain on Oct. 9, 1863. 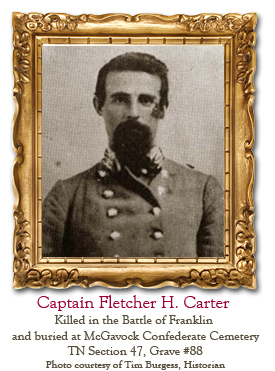 Fletcher was 24 years old when he was killed at Franklin. By this time in the war he had already lost two older brothers killed, William of the 13th Tennessee at Murfreesboro, Tennessee in December, 1862 and Absalom of the 8th Tennessee at Atlanta, Georgia in 1864. Borous, Jr., the youngest and in the 13th Tennessee had already received a wound at the Battle of Belmont in 1861 and lost the use of one arm. Capt. 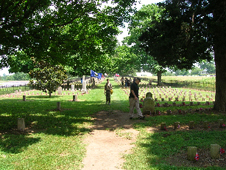 Fletcher is buried in the McGavock Confederate Cemetery in the Tennessee Section # 57, Grave # 88. The cemetery is open to the public during daylight hours. Special events must be approved by the cemetery trustees. The annual memorial service for the fallen soldiers was held June 4, 2017. 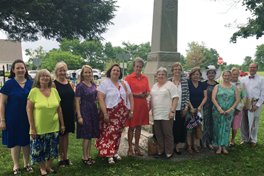 The service was hosted by the McGavock Confederate Cemetery Corporation and the Franklin Chapter #14 United Daughters of the Confederacy. Chad Gray was the guest speaker. 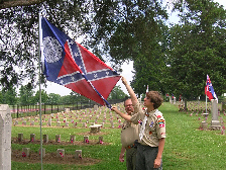 Commemoration flags were presented and the Confederate flags were placed on the graves of those killed in the battle of Franklin, November 30, 1864 in loving remembrance by Boy Scout Troop #137. 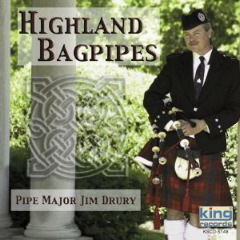 Jim Drury performed with Presentation and Salute to Arms by the Maury Light Artillery, Camp 2286. Partial proceeds from the sale of this DVD are donated to the McGavock Confederate Cemetery Corp. for ongoing restoration and maintenance. Order online from Lotz House. 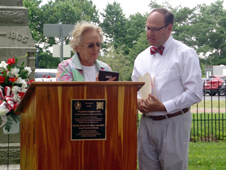 The "Minute Book of the Original Trustees of the McGavock Confederate Cemetery" recently received the Award of Excellence for superlative achievement from the Tennessee Association of Museums. 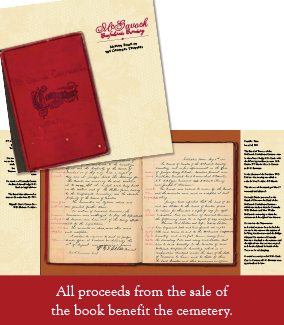 The publication was completed to coincide with the 150th anniversary of the Battle of Franklin and is for sale at the historic Lotz House, Carter House and Carnton Plantation.